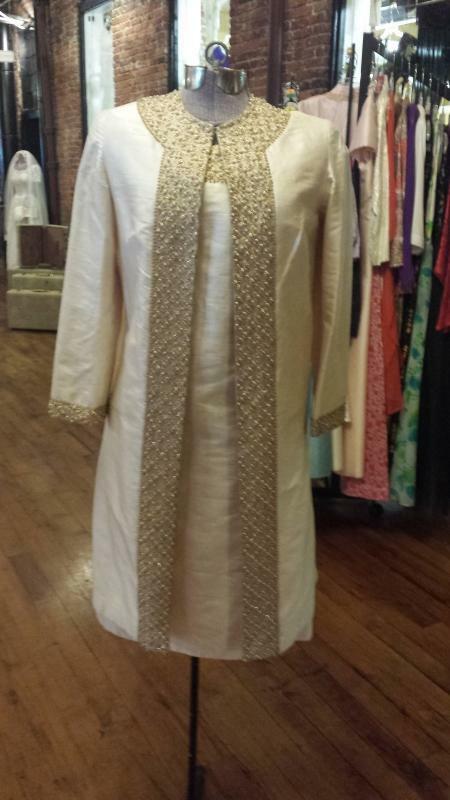 This elegant cream 100% raw silk sheath dress and matching coat has metallic beaded embroidery around the neckline and down both sides of the front of the coat. 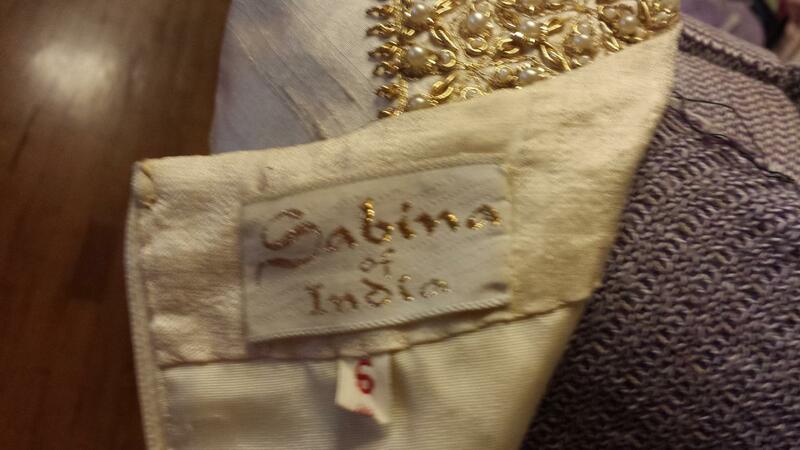 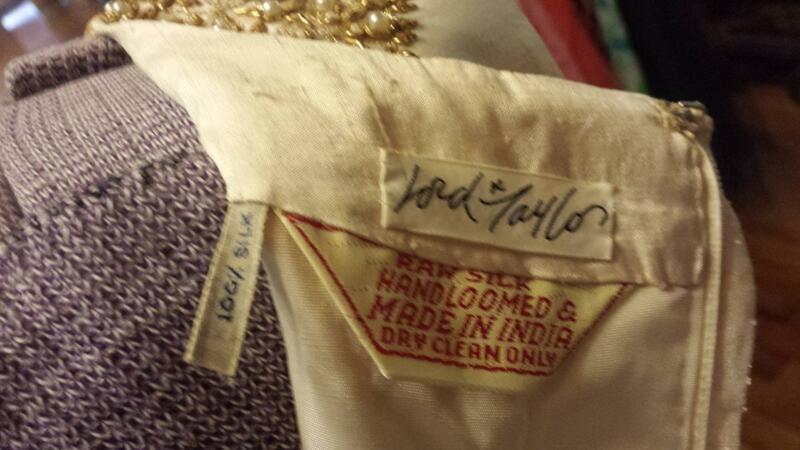 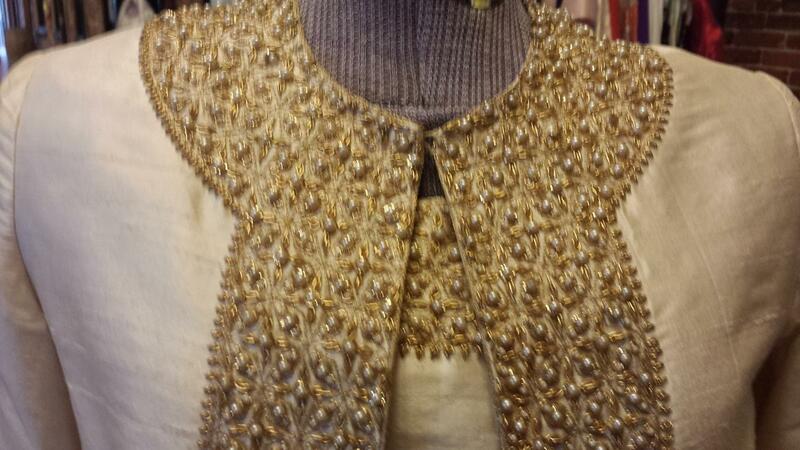 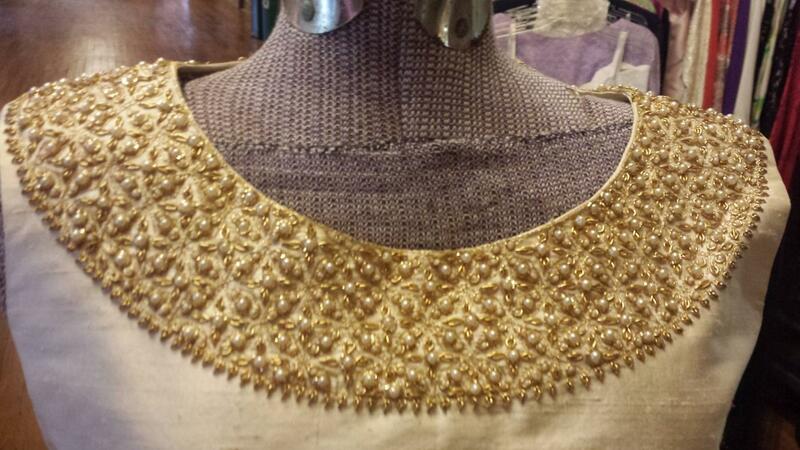 It was made by Sabina of India and sold through Lord & Taylor around the late 1960's to early 1970's. 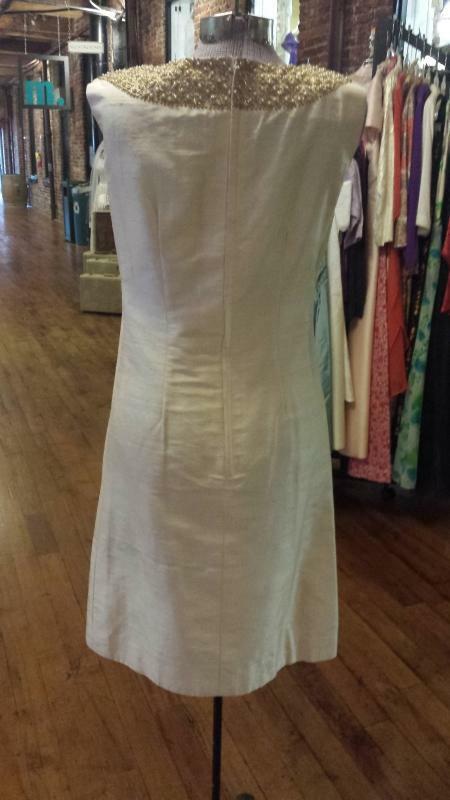 This size 6 outfit is in excellent condition and is priced at $225. 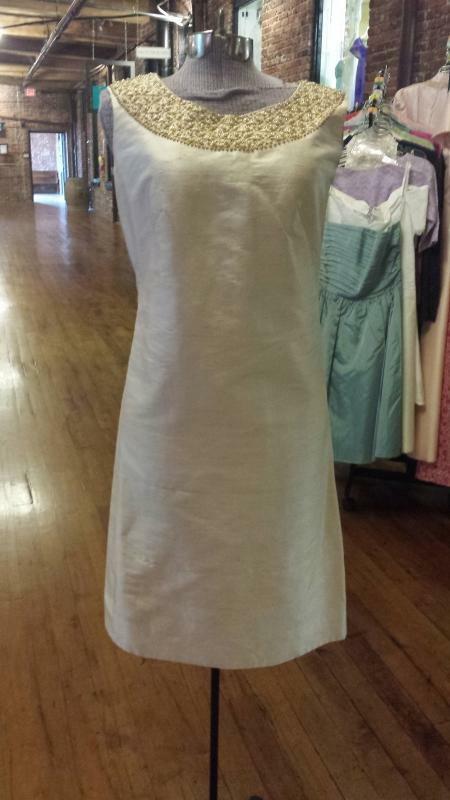 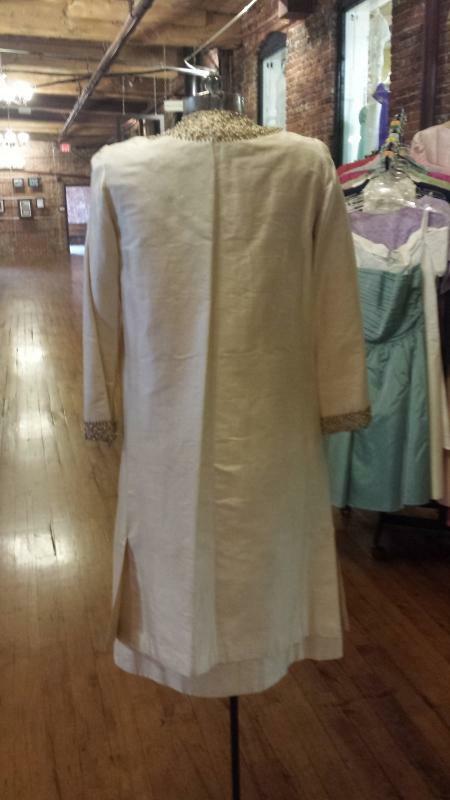 Items Similar To "Sabina of India Lord & Taylor Raw Silk Cream Dress & Matching Coa..."